Home / Hello love, goodbye privacy? How to protect your data while dating online? Hello love, goodbye privacy? How to protect your data while dating online? 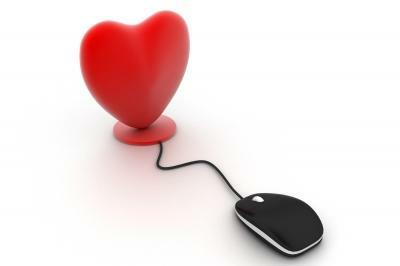 Nowadays it is totally normal for a lot of singles to present themself with a public profile on an online dating site. Like having a facebook profile, a twitter account and a private account, online dating is simply part of the modern life. But in times of wiretapping scandals, hacker and virus warnings, others have concerns about their privacy and asking what happens with their personal Data at online dating sites. Before you register for online dating, get an email address that you exclusively use for this purpose. One advantage is the separation of your dating communications from your private or business emails and also further protects your privacy. The address should never consist of your real name, just choose either your online dating username or an anonymous nickname. You can use this email address without concerns when you start moving from communication on the web site to private emails. Choose a secure password that is not identical with either your email, facebook or the password of any other account. Always logout when leaving the website and empty the cache when using public computers. If you don’t want everybody with an internet connection to see your profile, then register only with a reputable dating agency. They are limiting the access to your profile to only users that would fit to your profile. This reduces automatically the number of persons who could access your profile – exactely the ones that you want to see your profile. At reputable dating agencies you can also protect your profile photo, so you can release it only on request and for every single member you decide. The disadvantage would be that less members will be attracted by your profile but if you are willing to be more active and approach other members, your success rate won’t actually decrease. When choosing the dating agency make sure they adhere to certain safety standards and data transfer of your personal data and sign in are only done on safe and reliable connections. Never ever divulge your private home address, phone number or other details of your private or business life until you are sure you figured out and can trust that person (actually only until after the first date). You should also (above all) never send, transfer or promise any money!